The all-new Toyota Prius PHEV will be introduced next year. 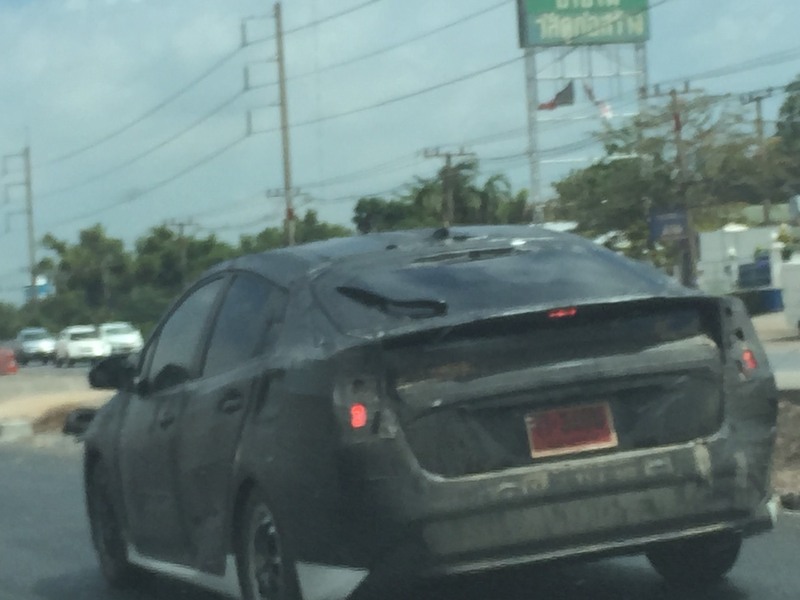 The next generation 2016 Toyota Prius continues testing in Thailand, ahead of a world premiere expected to take place in the last quarter of this year. The 2016 Toyota Prius is reported to have lost 30 kg in overall weight. 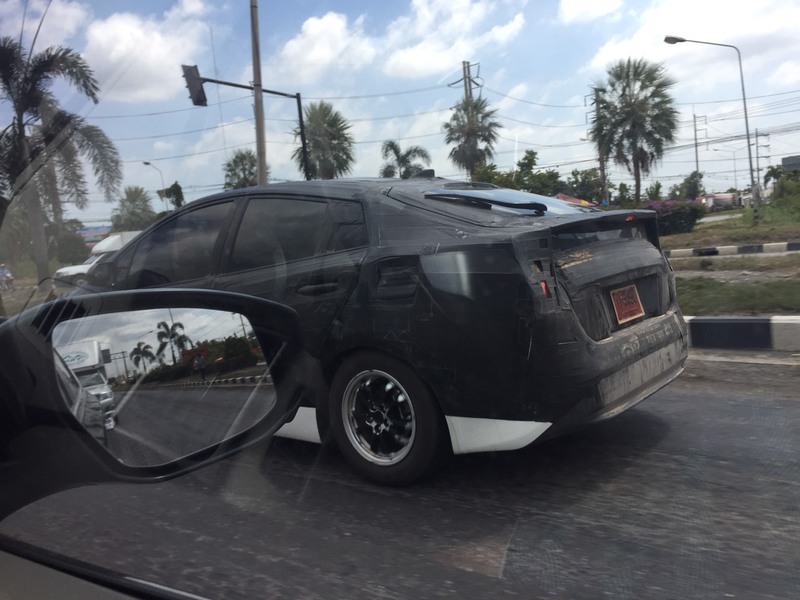 The TNGA-based next generation Prius is reported to be larger than its predecessor. A 70 mm increase in overall length, 25 mm increase in width, and an overall weight loss of 30 kg is what the new Japanese report indicates. Where the outgoing Prius has a thermal efficiency of 38.5 percent, the 2016 Prius, codenamed 690A has a 40 percent efficiency, the highest for any series-production passenger vehicle. Power for the new Prius is expected to come from a 1.8-liter four-cylinder petrol engine paired to 90 PS electric motor. The combined system output is expected to be in the range of 145-150 PS, with a fuel efficiency of 40 km/l in the Japanese JC08 driving cycle. The 2016 Toyota Prius PHEV could top fuel efficiency charts with a 70 km/l figure. The new Prius will be joined by a PHEV model in 2016, which is reported to deliver 70 km/l in the Japanese test. Both, the PHEV and the regular Prius will be paired to a new eCVT gearbox. Unlike the current generation models, Toyota designers are reported to have given unique design identities to each model, to set them further apart. TKM (Toyota Kirloskar Motor) sells the Prius in India as a CBU product, and given the Camry Hybrid's better than expected market response, the next generation model could launch in 12-18 months from its global premiere, with local assembly a serious possibility.